Somewhere in the distance a werelupe howls. Lupes start to bark. Dark clouds swirl, a crash of lightning and a soft weeping can be heard. Yes, a game has been dragged kicking and screaming into...the Game Graveyard! What is the Game Graveyard, you ask? Why, it's where all the dead and decrepit games go. 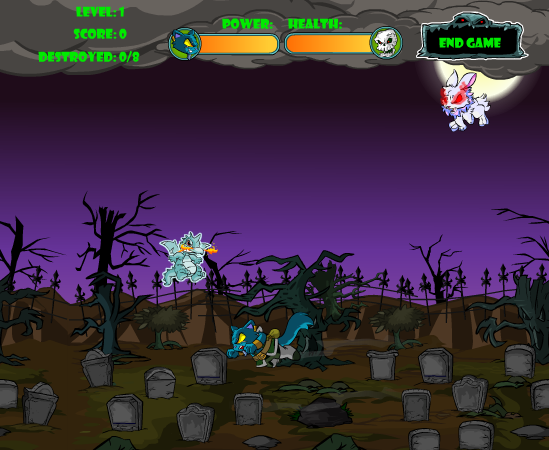 The Graveyard is home to all the old games that have been around since the start of Neopets. 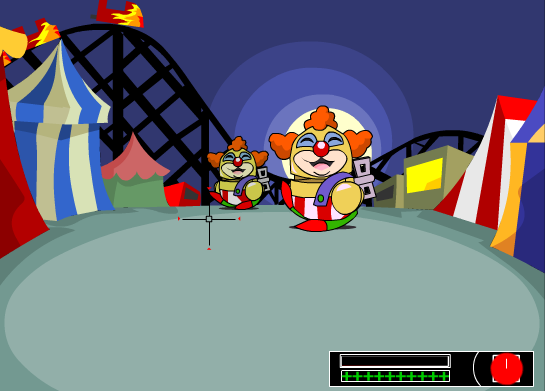 Some games are older versions of existing games, such as Meerca Chase and Destruct-O-Match. 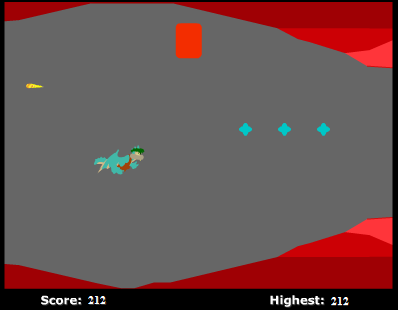 Others are games that have been completely taken off the site, like DJ Neo and Kau Korral. 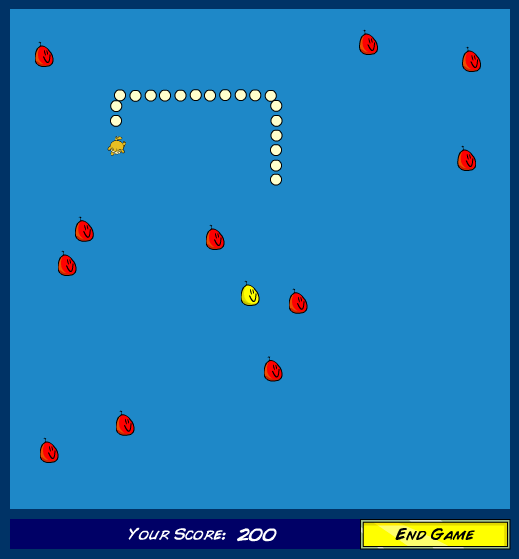 However, there are no high-score tables and no Neopoints to be won for playing. The games are simply there for fun and to reminisce. 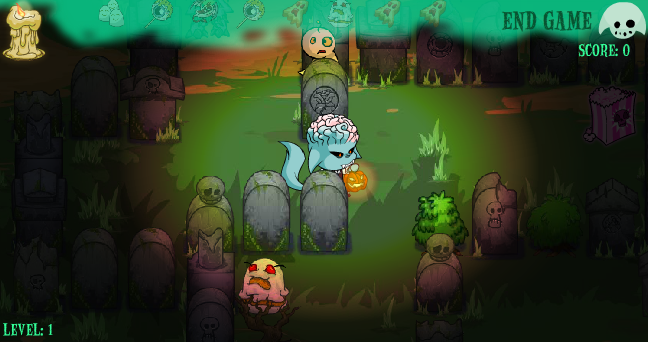 Below is a quick overview of every game in the Game Graveyard and their successors; some of them even still have guides here on Jellyneo! 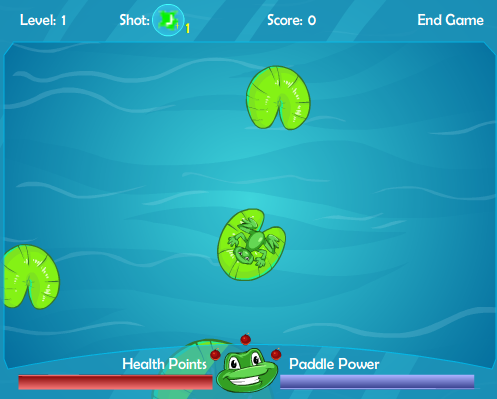 While previously you had a bar to see how powered-up your shot was, it has since been removed. The only way you can tell now is how red the Elephante's face is! 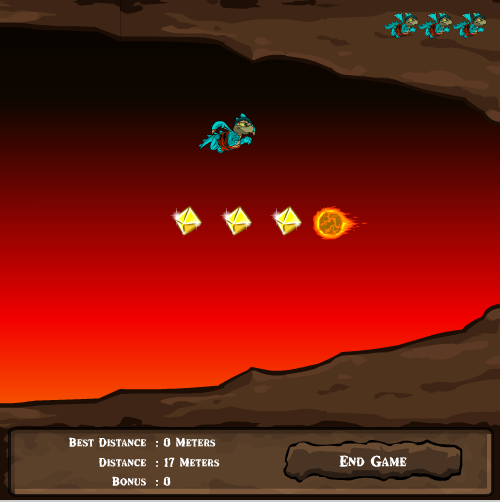 Additions to 200m Peanut Dash include jump combos to net you more points and more obstacles for you to jump over. 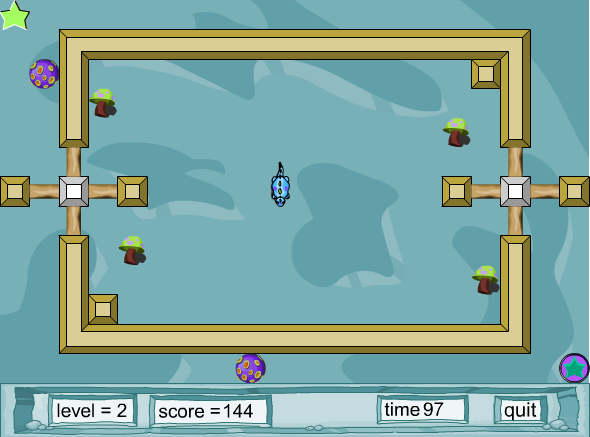 The old Battledome was beloved by many and is greatly missed. 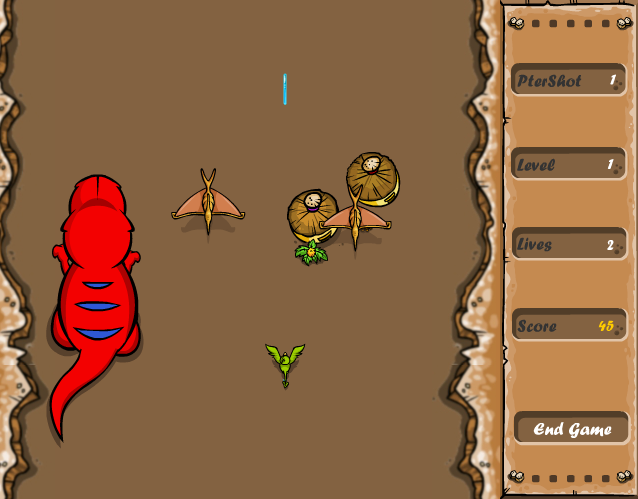 Since the change, many weapons do not work the same as they did before, species lost their special abilities, and important things like HP increases for 1-player opponents were removed. 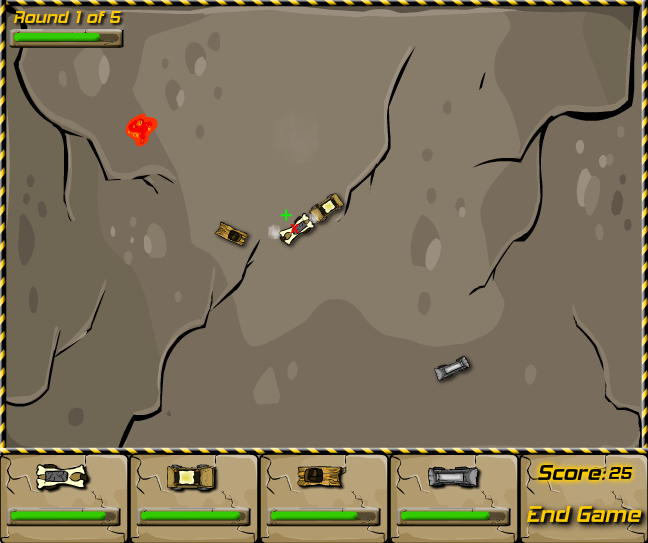 You are also now awarded prizes for defeating opponents. Cars? 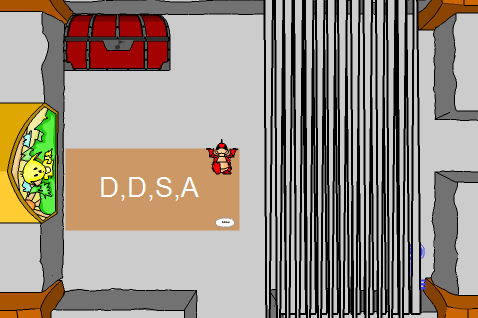 In MY Neopia? 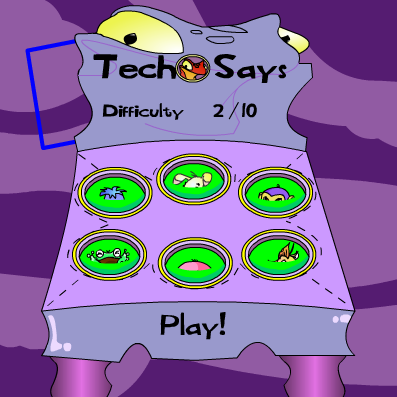 This was later replaced by Ugga Smash, which features Tyrannia-style technology instead. 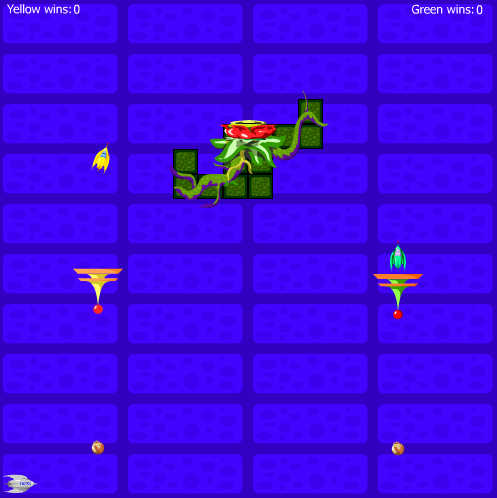 Geoffrey is back for revenge in Chia Bomber 2 with a new interface, updated sounds, and some changes to the enemy routing AI. 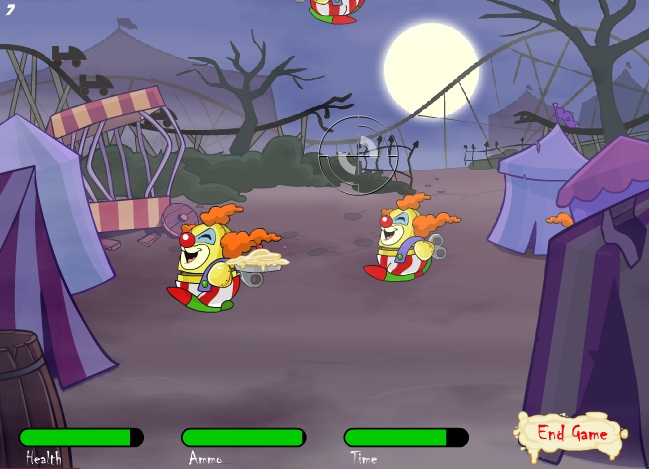 Carnival of Terror's interface update made it much easier to see how much ammo, health, and time you have remaining. 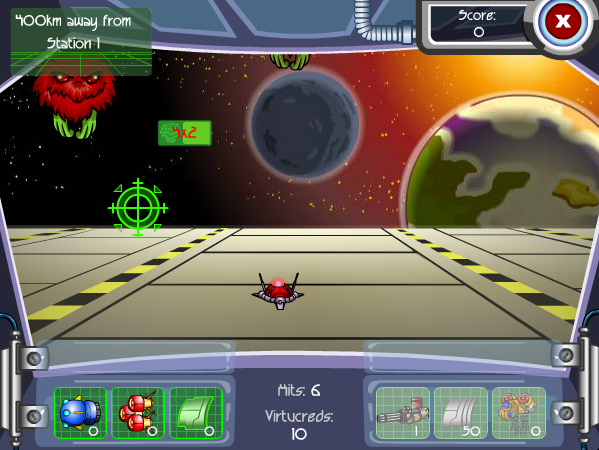 The pies thrown by the robots are also much slower and they can be shot as an additional target, making the game much easier. 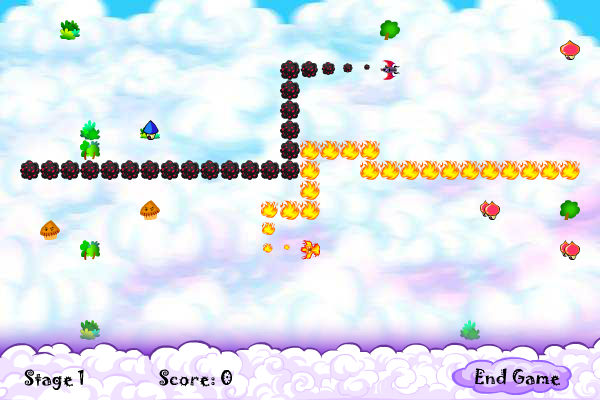 Avoiding mushrooms and fungus balls, you needed to retrieve the star in each level and take it back to the starpad. Chomby and the Fungus Balls is also the name of a group you can see at the Tyrannian Concert Hall! 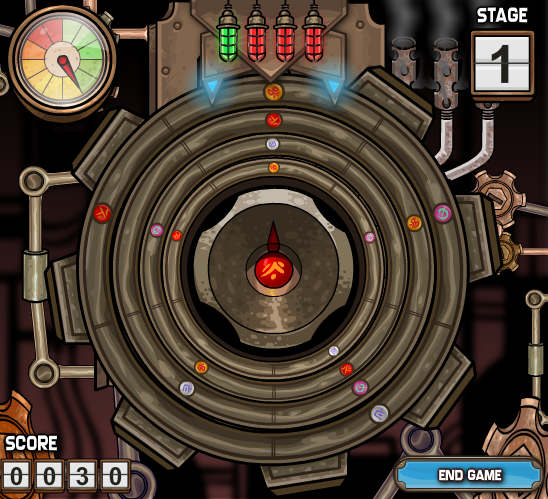 The weird alien seen in Codebreakers was (un)fortunately never seen or heard from again, but his pattern-finding puzzle game lives on in Time Tunnel, which was later re-imagined into Clockwork Codebreaker during Atlas of the Ancients. 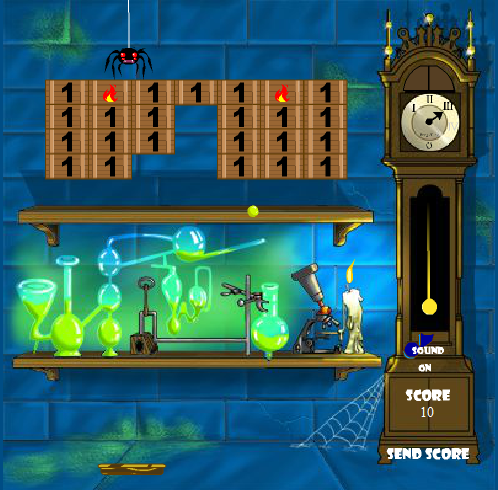 While Codebreakers and Time Tunnel have time limits, Clockwork Codebreaker does not. 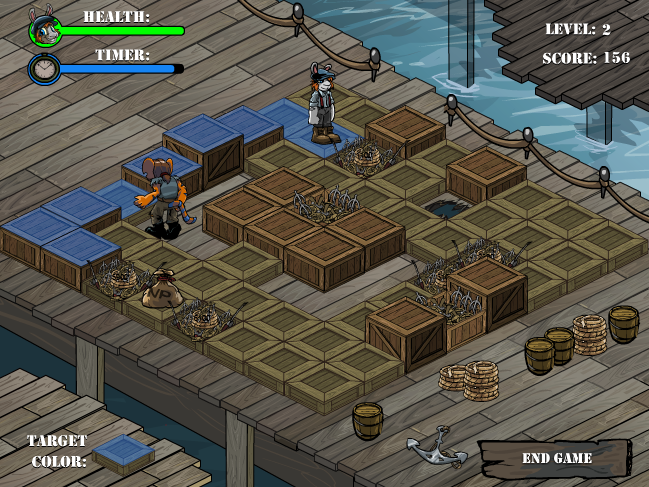 To coincide with Journey to the Lost Isle, the Blumaroo that starred in this game was replaced with Scrap and it instead focused on his adventure aboard the SS Primella. 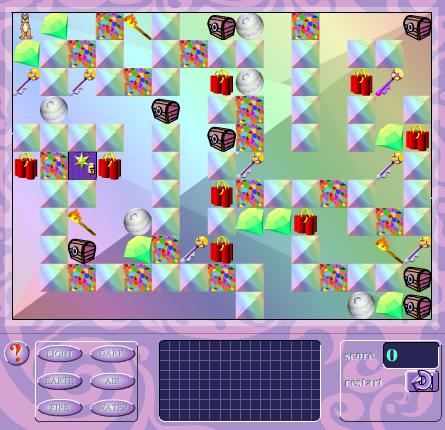 The playing boards became far more complicated with more hazards and items to collect. 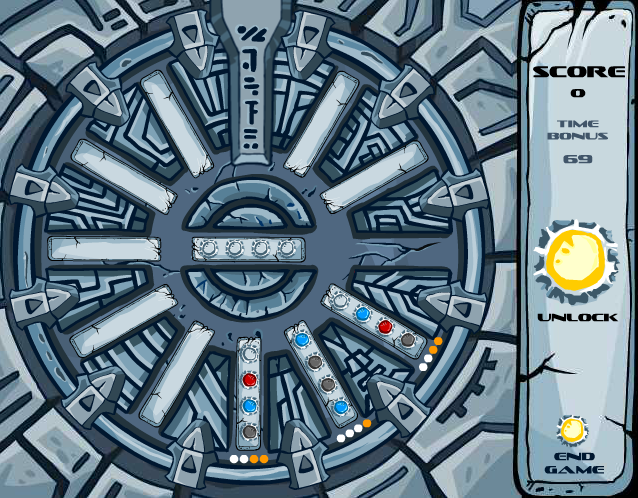 Even though the artwork was significantly changed, you can still obtain the original Deckswabber avatar by playing the newer Stowaway Sting. Destruct-O-Match has been updated a whopping three times! 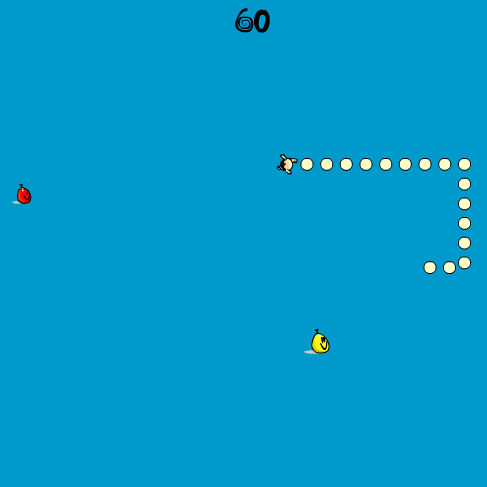 Each one has given it a cleaner look, more power-ups, and more game modes! 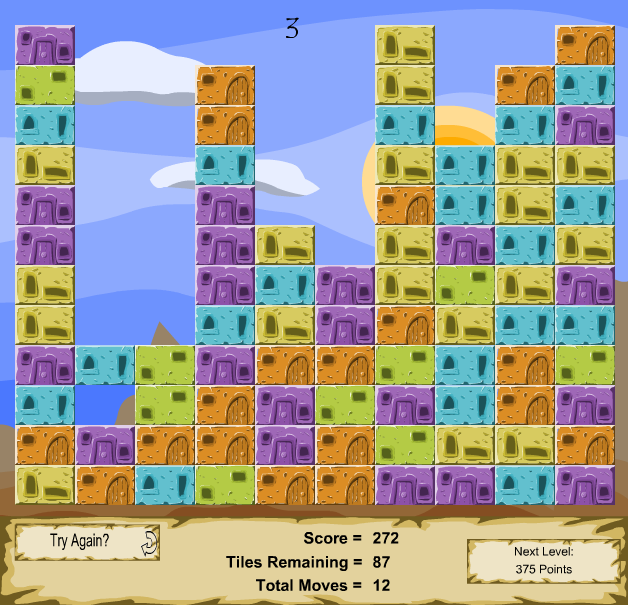 The old Destruct-O-Match blocks looked like little houses. JN has guides for both Destruct-O-Match II and Destruct-O-Match III! 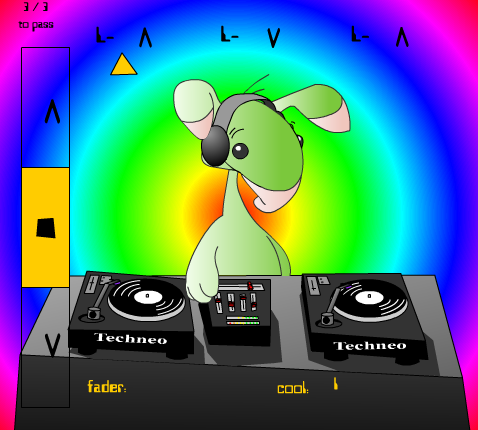 DJ Roo needed your help laying down some phat beats on his Techneo turntables in this early rhythm game. Dubloon Disaster received a beautiful updated opening cinematic and some really beautiful rippling effects in the water! Our original Dubloon Disaster guide is still available for viewing. 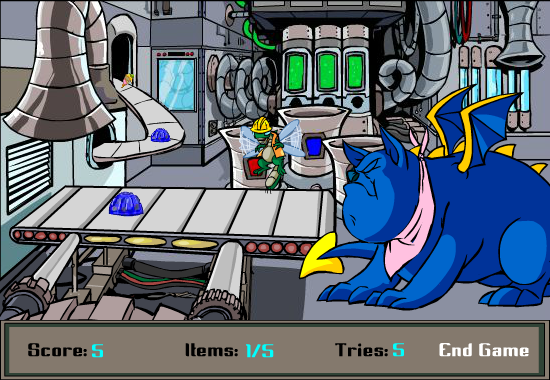 This is (or was) one of the few games on Neopets that requires two players. 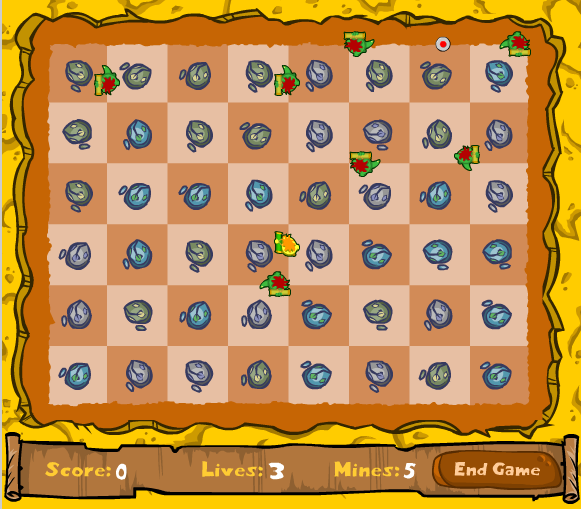 You had to try to land your ship on the flower before your opponent. 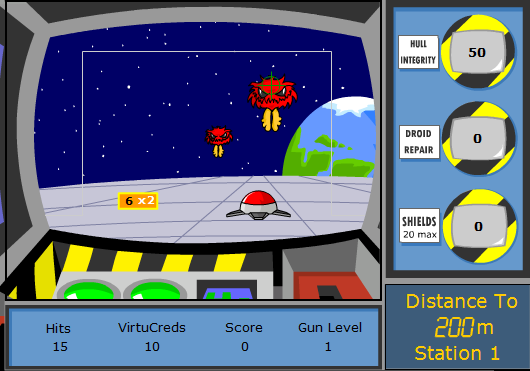 Evil Fuzzles from Beyond the Stars received a nice update in graphics, but little else has changed! Faerie Caves (not to be confused with the Faerie Caverns) was a sequel to Ice Caves. 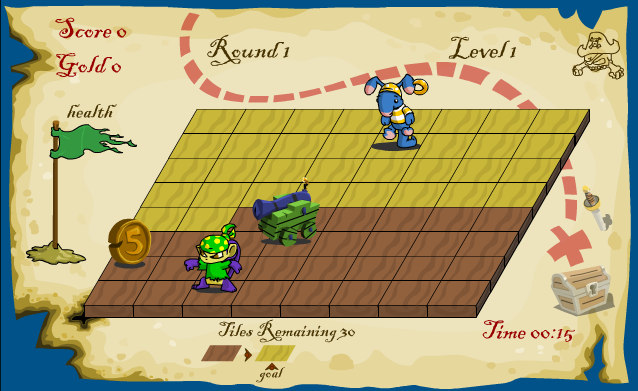 This game was succeeded by Faerie Caves II, with Quaglor the Intrepid replacing Garon as the player character. 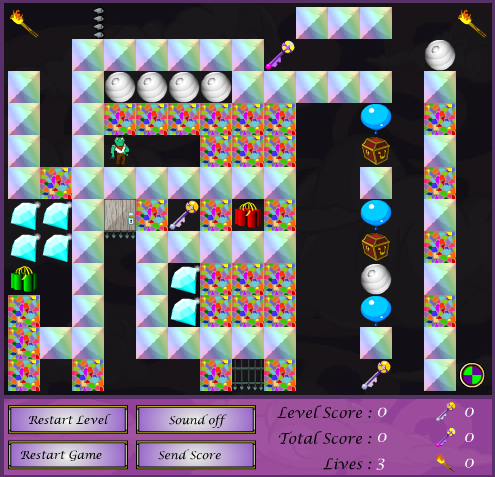 Many of the graphics from the original Faerie Caves were used in it. 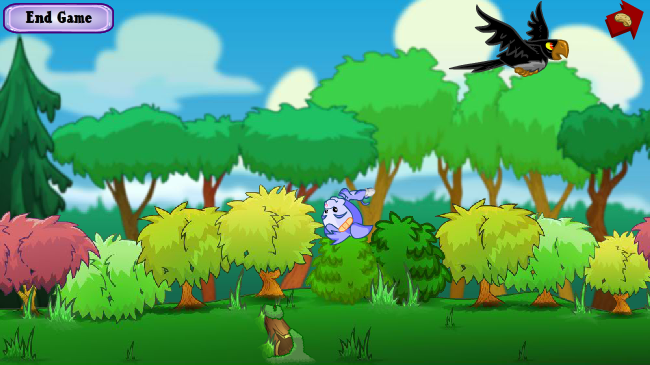 The original Faerie Cloud Racers had more than just faeries, you could also play as a few select faerie petpets, too! 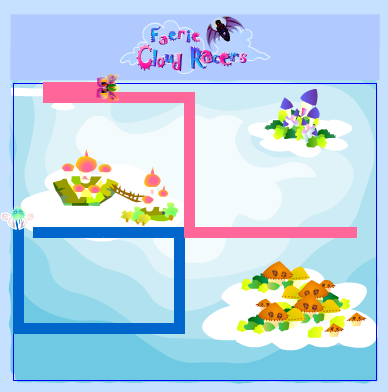 Unfortunately, their licenses were revoked in the updated Faerie Cloud Racers and its sequel, Extreme Faerie Cloud Racers. 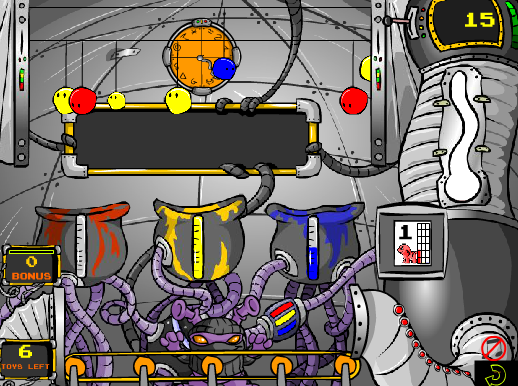 Very little has changed between these two versions of Freaky Factory; only the font used to count the number of figurines to be made is different. 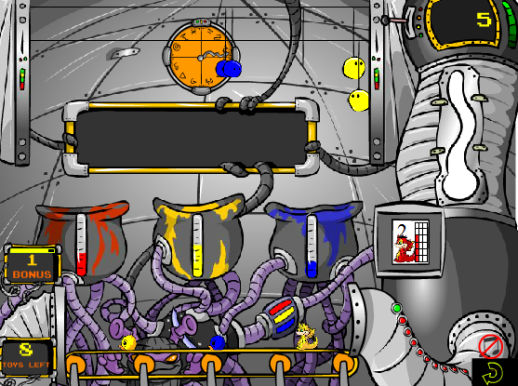 Freaky Factory was originally added to the Game Graveyard immediately after it was finished to play a joke on the programmer. 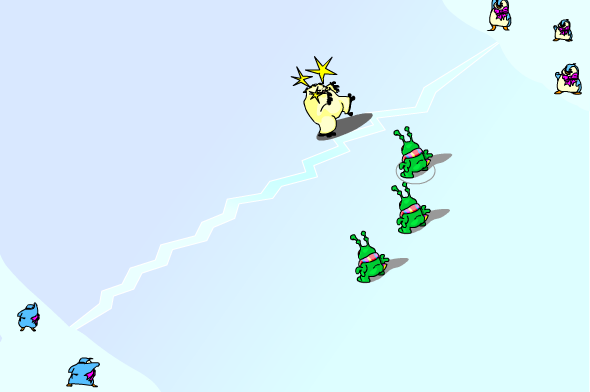 What was once a playful snowball fight between Grundos and Snowbeasts turned into a large-scale battle in Snow Wars II! 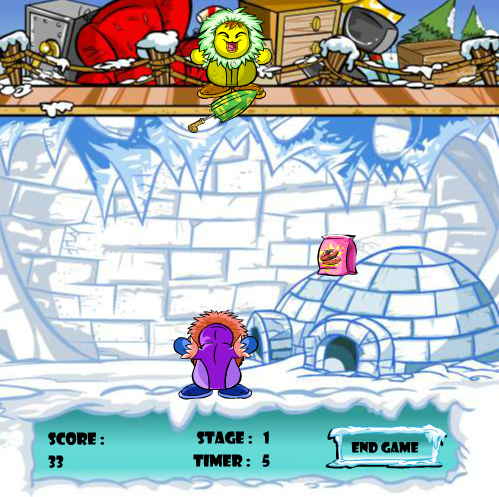 Although it may seem like Snow Wars II should be a sequel to Snow Wars, it actually replaced Grundo Snowthrow when it retired, so it awards the original Grundo Snowthrow avatar. 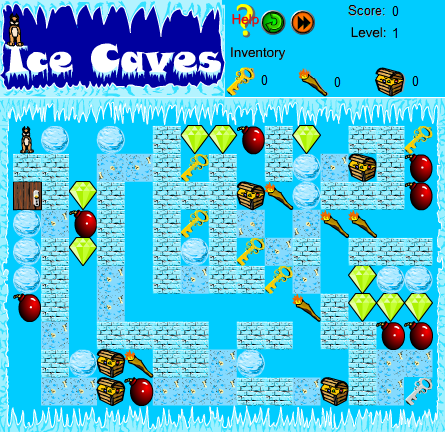 In each level of Ice Caves, you needed to guide Garon to the silver key in order to progress through the exit door. 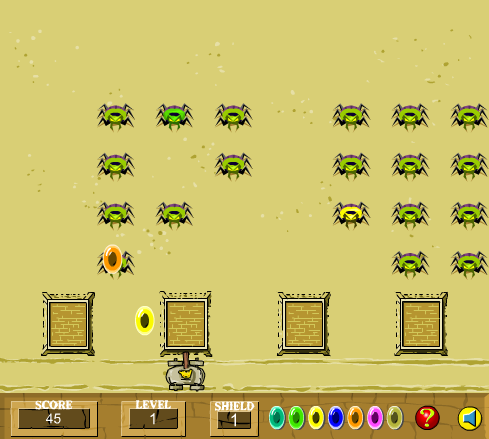 This game had two sequels, Faerie Caves and Faerie Caves II. 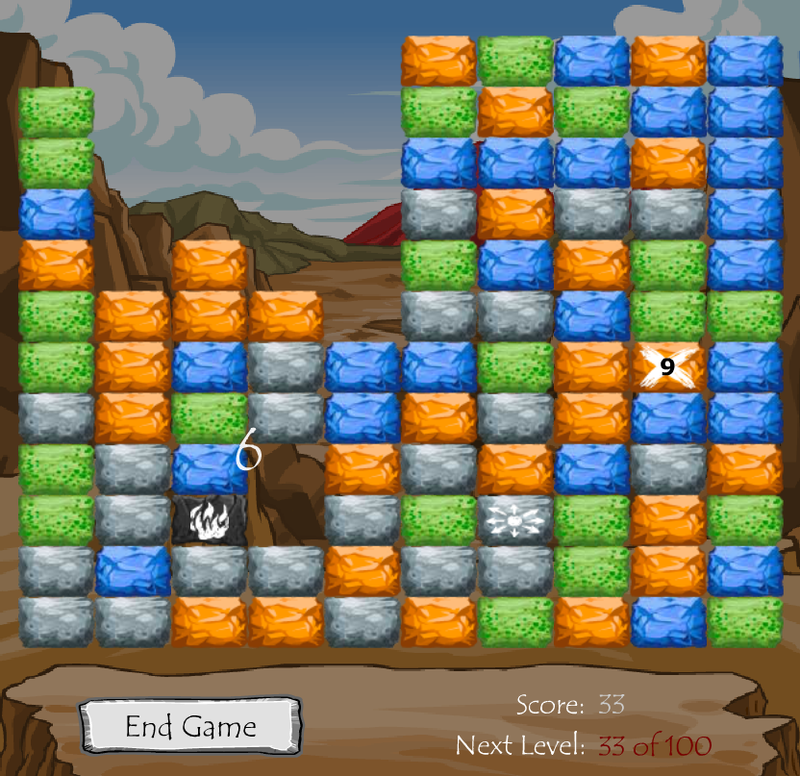 When this game was revamped into Ice Cream Machine, Adee finally found something warm to wear! 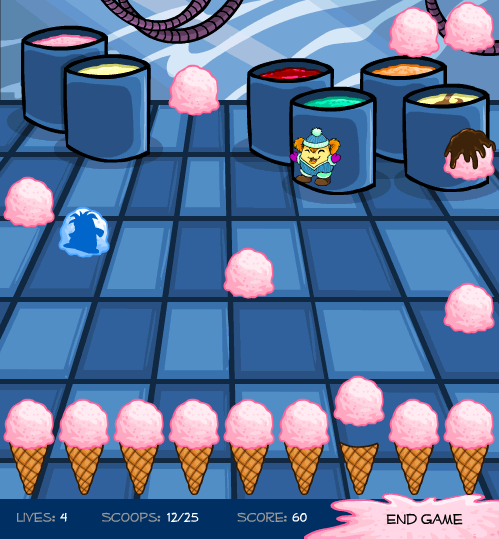 The ice cream scoops also became much quieter, and some of them now have toppings and bonuses! You can see the silhouette of Adee's original design in the size changing power-up scoops in the sequel. 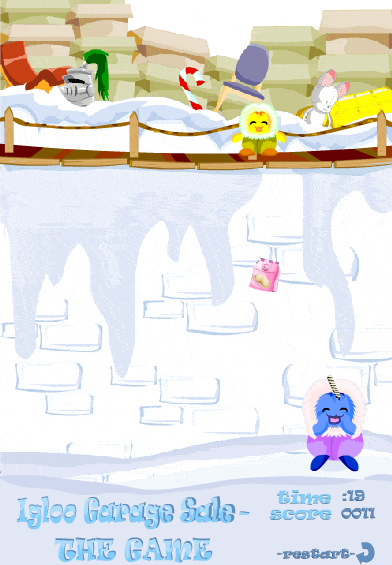 The original Igloo Garage Sale - The Game boasted a unique lineless art style that didn't carry over, but Mika is much easier to control now! Less piano-induced headaches. 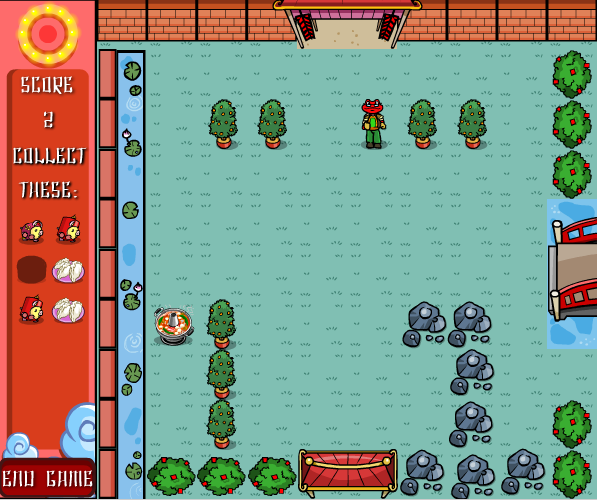 This game is based off of the real Igloo Garage Sale, where you can get discounts on tons of great items! 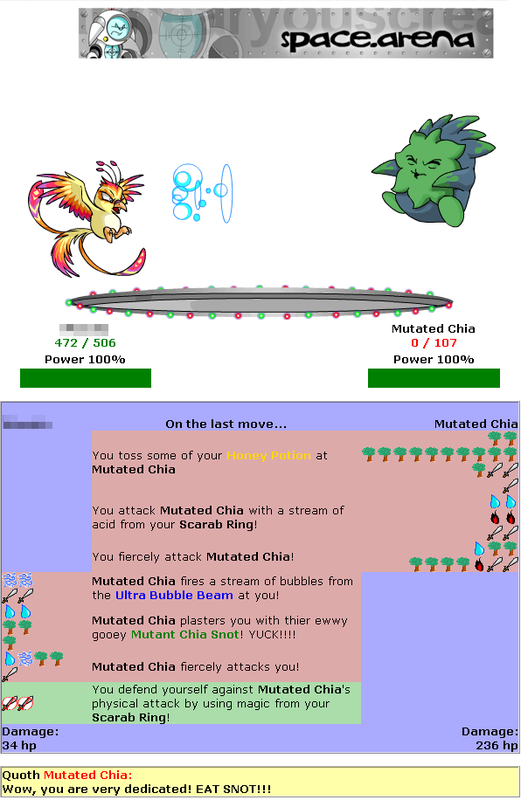 The name change to Hungry Skeith shouldn't surprise anyone, feeding the Skeith is the fun part! 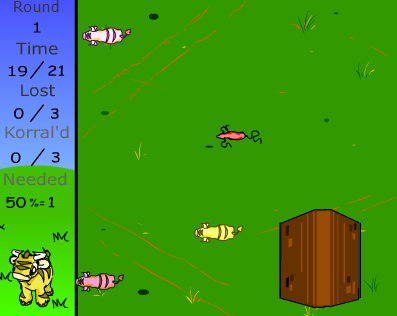 The Gelert in this game actually had an owner, a farmer, which is very unusual to see in current Neopia! You needed to herd the Kaus into the barn using the mouse. 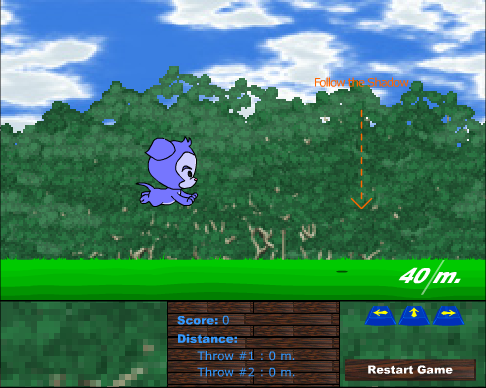 Kiko Match, one of AAA's favourite games when he was a little 'Roo, was eventually renewed as Kiko Match II. 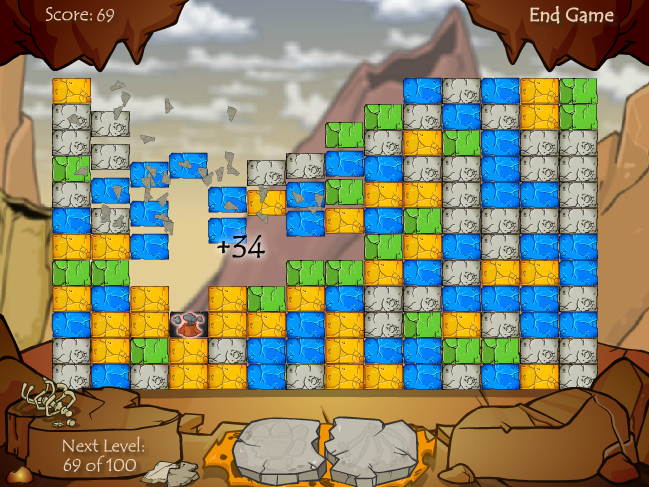 The gameplay is the same, but with updated graphics, different match amounts per level, and a difference in scoring. 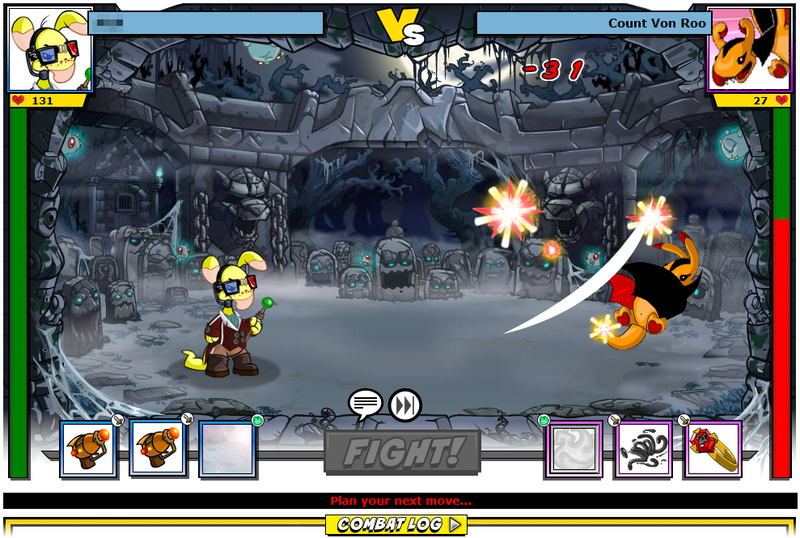 You can still see the art used in the original Kiko Match in the background! 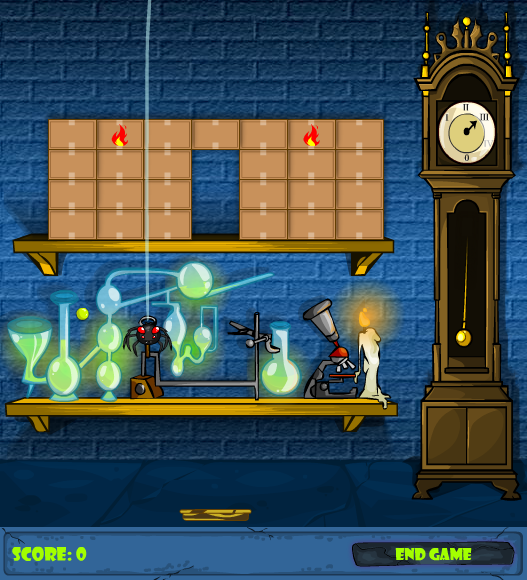 The new and improved Korbats Lab features more power-ups and the option to pause the game! Hooray! 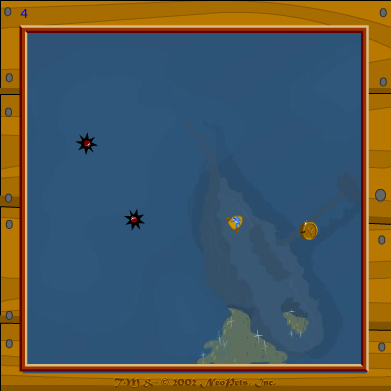 MAGAX: Destroyer received a bit of a downgrade in terms of content when it was retired and re-released as MAGAX: Destroyer II. The original had more ghosts to fight that had their own unique attacks, Hubrid Nox had different powers, and it had an awesome soundtrack! This is definitely worth a look. 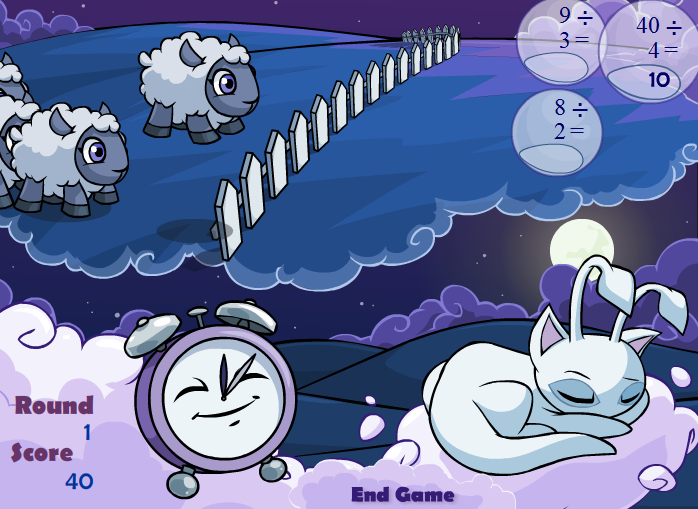 In the first Maths Nightmare you were required to press enter after answering every single problem! The new version has difficulty settings. 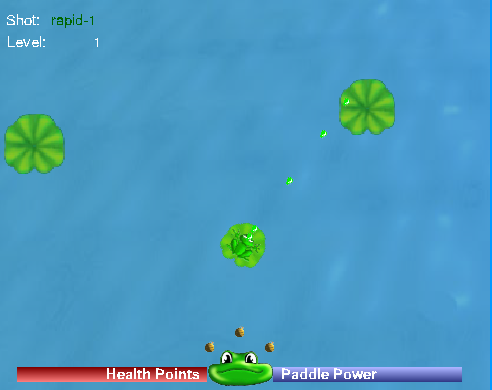 Instead of scrolling down the screen, the problems will now appear within bubbles. 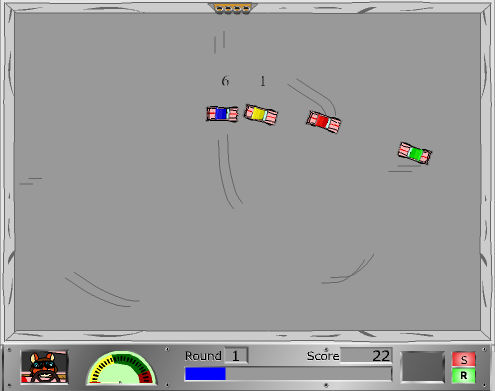 Meerca Chase 2 added some new game modes. Super Hyper Gravity is quite popular! 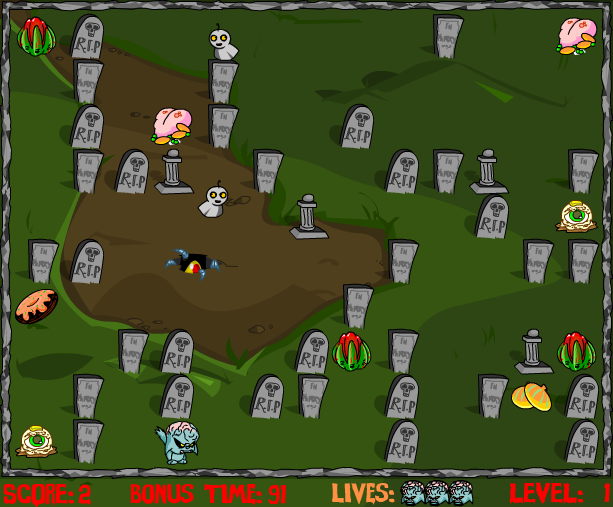 Mutant Graveyard of DOOM received a much needed facelift and was brought back as Mutant Graveyard of DOOM II. The biggest change is the addition of the candle to represent your health and the inability to see the entire map at all times. 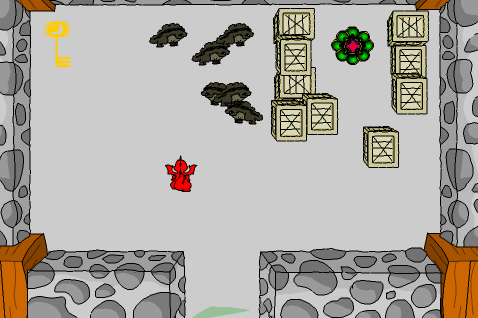 The goal of the game - to collect all of the food items from the maze for the Esophagor - has stayed the same, and many of the enemies have returned. 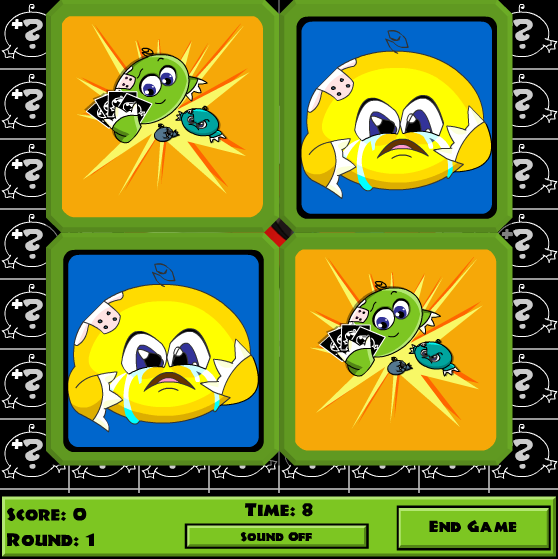 The new version also includes a short introduction explaining the story of Albert, the player character. 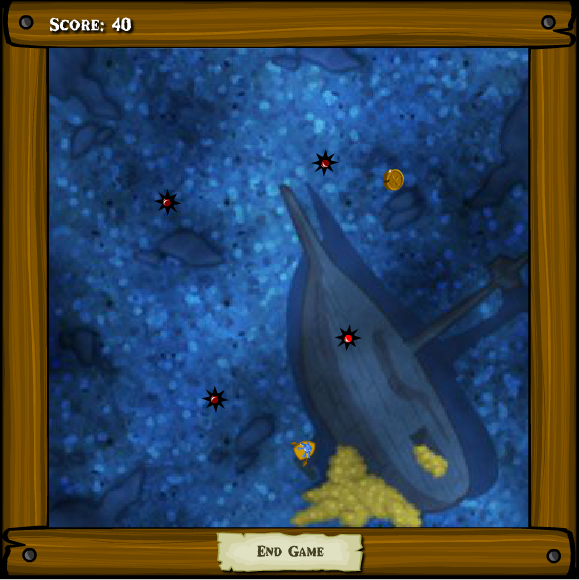 Nimmos Pond received some graphical updates, but the gameplay is exactly the same. 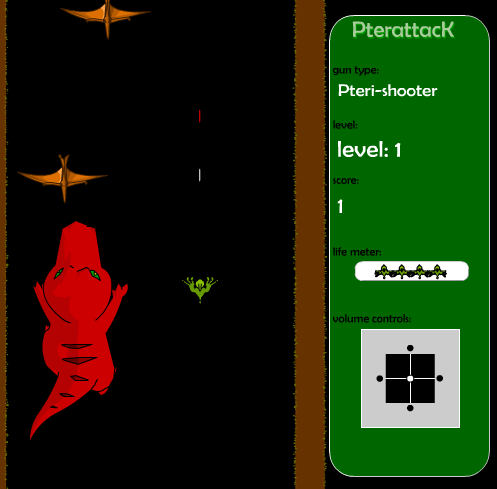 The new Pterattack has everything you loved about the old with better graphics, sound, and more weapon upgrades! 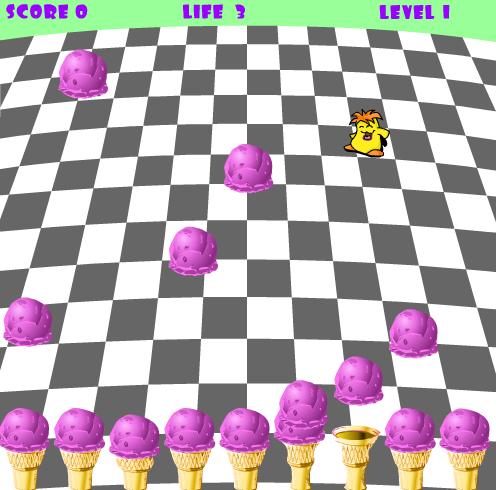 Scorchio's Quest I and II were dungeon exploration games. Neither of them seem to work properly anymore and are prone to crashing. The newest version of SWARM has a unique scoring system where you are awarded for shot accuracy, whereas the old version simply awarded a static amount of points per kill. Also of note is a change in the way health works. 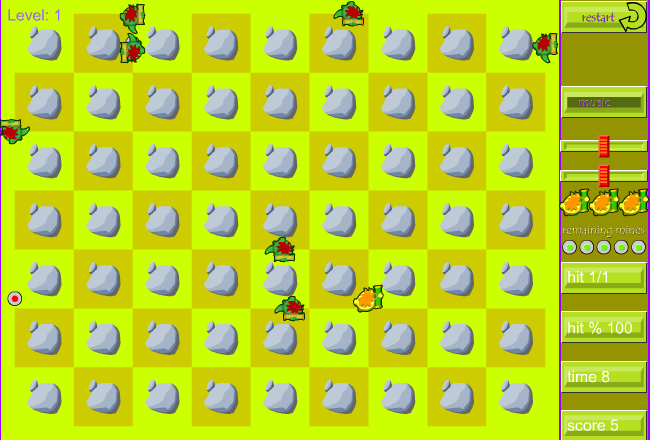 In the original SWARM your tank could withstand three hits but you only had one life, while in the newer SWARM your tank could only withstand one hit but you have three lives. Techo Says has some added distractions to throw you off and a slight change in the font it uses. The original Tug-O-War required passwords for all characters besides Brucey B. This has since been removed in the sequel with two new bonus secret characters added in, Spectre and Truggdon! 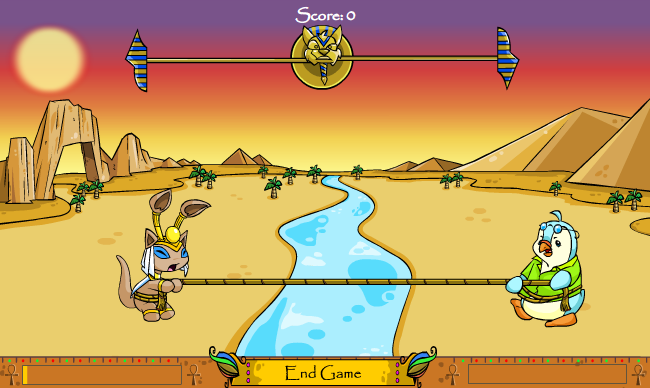 The poor Usul that starred in the original Usuki Frenzy was later replaced by a Cybunny, but you can still see her on the trophy awarded for this game. 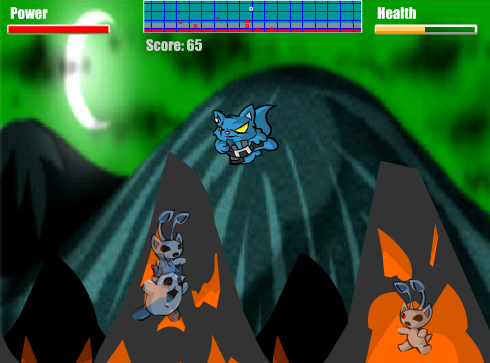 The Cybunny is also much faster than the Usul and can easily zoom around rooms to collect dolls, making her a welcome change in its sequel. 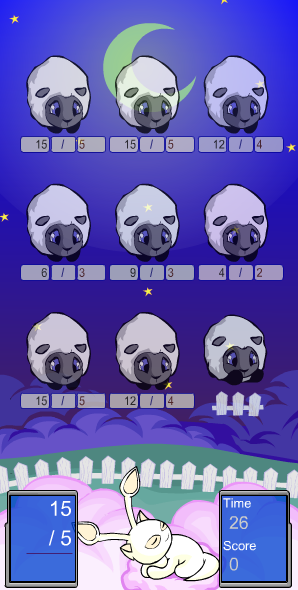 In celebration of the Shenkuu Lunar Festival, this game was later reworked into Revel Roundup! 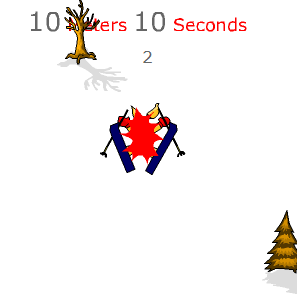 Wow the judges with your excellent skiing skills, but watch out for those trees! Glubgar just can't get enough of those volcanoes! 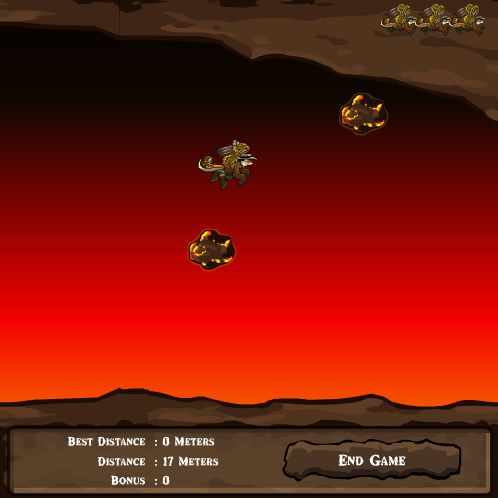 The obstacles in the original Volcano Run were far more frenzied and abrupt than in its sequel, Volcano Run II, which has a much milder difficulty curve as you progress. 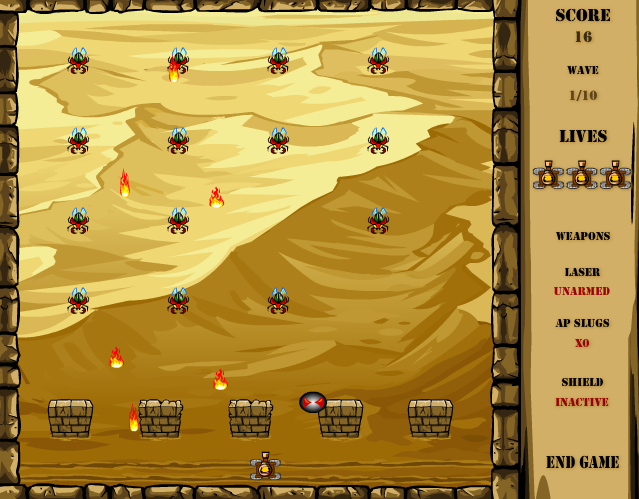 When this game was re-skinned for Atlas of the Ancients as Moltara Run, Roxton A. Colchester III replaced Glubgar.